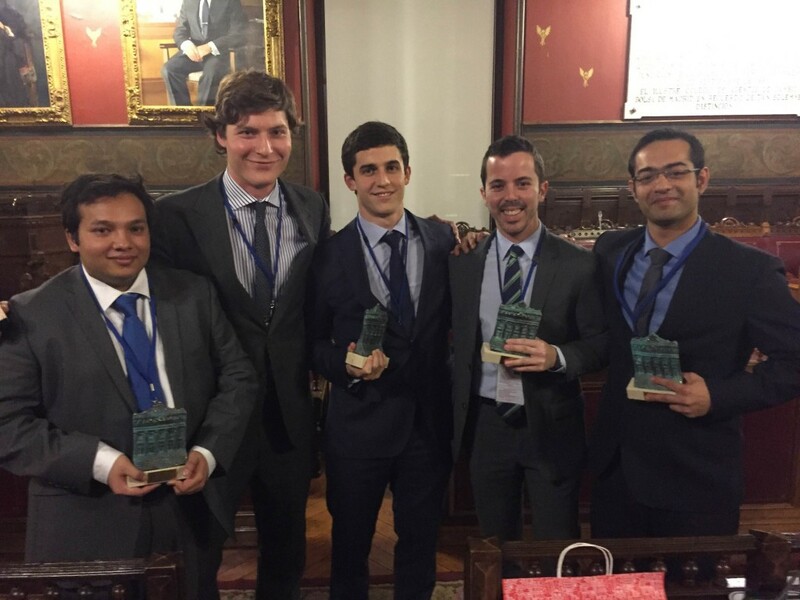 Last Thursday, March 3rd, five IE Master in Finance students won the CFA Research Challenge– Spain edition at the Bolsa de Madrid. This is the fifth time IE Business school ‘s team has won first place, setting it as the highest awarded school in this competition. The winners made it to the Finals along with five other schools after a first evaluation of their reports. They will now join other European and World teams for the Regional and International Challenges in Chicago next month. We wish them all the best! Congratulations to the winners: Carlos Fons (Spain), Leon Von Ullmann (Germany), Ron Sen (United Kingdom), Akshit Sandooja (India) and Gonzalo Alejandro Zuniga (Peru)!